Facts and fantasy about the very real faerie world. In this three-minute mini-podcast, Fiona Broome discusses classic ways to reach faerie realms and why it's not as important to visit their world right now. Putting aside her usual scientific and sociological tone, faerie researcher Fiona Broome explains why believing in faeries is so exciting. She starts by explaining that people around the world believed in faeries (or entities like them) through the early 20th century. Then, the tidal wave of science smashed the dreams of faerie believers by calling their ideals mere "fantasies." However, despite the disapproval by many, people continue to believe in faeries and the fae world. This goes beyond the "Ooh, cool!" exclamations of some science fiction enthusiasts. It's more of an affinity for faeries, mermaids, dragons, and the ideals (and personalities) of King Arthur's court. Faerie believers aren't just wishing that faeries were real. They believe in them. From the first time they encounter a "fairy tale" or something related to the faerie-fantasy realm, there's a deep sense of recognition. It's an "ah-HA!" moment, and sometimes a sense of finding home. Keep in mind that the rules of 20th century science don't necessarily apply today. Look into the discoveries and mysteries of gravity, and how that relates to quantum science and membrane studies. Also consider Dr. Fred Wolf's views on dreams and alternate realities, as presented in What the Bleep? and other intriguing studies. He presents wonderful "what if..?" questions. Fiona talks about topics like these, and how they may related to the real world of faeries. For more information about faeries, visit Faerie Magick. Music: The Moods of Man, written and orchestrated by James Underberg. Flying Faeries - fairies that fly! Learn more about flying faeries: Winged faeries, those who fly on flower stems and bulrushes, and faeries that levitate. Explore the different kinds of entities that fly, and why they are -- or aren't -- like faeries. From Tinkerbell to succubus to vampires to shapeshifters, this 14-minute podcasts takes you on a whirlwind tour of faeries (and other entities) that seem to fly. Have you tried to contact faeries, and were you disappointed? In this podcast, faerie researcher Fiona Broome answers readers' questions. She explains what works -- and what doesn't -- when you'd like to make contact with the faerie world. From the basic steps of observation, to the extremes of highly dangerous faeries, Fiona describes what to do and what to watch for. She also reminds people what faeries like and don't like, and why you must be very careful when you first encounter a faerie of any size or form. Where to look for faeries. What kinds of faeries you can contact, and whether Asian people can meet Native American faeries, etc. Tidy rooms to attract faeries. How and why to avoid iron when you're on a faerie vigil. For more information, see Faerie Magick, the website. A Hob may be a word that evolved from the English given name of Robin, related to Robin Goodfellow, another name for a Brownie in southern England. Hobs appear to be related to the Swedish Tomte or Tomtars, with a history similar to Ireland's Tuatha De Danann. In both cases, these faeries retired to the "hollow hills" or Brughs: Hollow faerie mounds in which several families live (or lived). A Hobgoblin is a cousin of the Brownie, and -- perhaps because he's more of a practical joker -- the Hobgoblin is sometimes considered a poltergeist rather than a faerie. Dobby in the Harry Potter stories seemed to be related to hobgoblins; a Dobie is another term for a brownie, in some areas, or it can mean a ghostly entity in other areas. Solitary faeries, seen alone or in very small groups. Male (but some are married, and that's usually the only time a female Brownie is seen). 2 1/2 to 3 feet tall, but some are described as being six or seven inches tall. Naked and very hairy, or dressed in brown clothing, with shaggy brown hair. Associated with a pond, pool or stream. (Brownies may have webbed fingers, making swimming easier. Brownies may become attached to a family or one member of the family. Brownies usually prefer rural homes and farms, where they may work at night, farming or cleaning. Brownies are most prevalent in northern England and in Scotland. Favorite Brownie foods include a bowl of cream or rich, whole milk; cakes with honey; and corn muffins, possibly served with honey. However, you must be very clear when you set out the treats for the Brownie: This is not a payment for his (or her) work. In most cases, if you try to pay a Brownie, he'll leave. He doesn't work for payment. In contrast, areas such as Lincolnshire have Brownies that like to be paid, and specifically with clothing. On New Year's Eve, Brownies in Lincolnshire have each been paid with a traditional white linen smock. Other Brownies will leave if you try to give them any kind of clothing. This raises the question: Do they resent the payment, or does the gift of clothing set them free, as with Harry Potter's Dobby? "Brownie" may be spelled Browney, Brouny, or Browny. However, the Brownie should not be confused with the Cornish Browney, a spirit or faerie that protects (or perhaps is) the bees. Brownies may be related to the Brown Man of the Muirs, a spirit or faerie that protects and guards the wild beasts along Scotland's Border Country. In his book, Daemonologie, King James I said that brownies are devils, but they do no harm. Devil's Bridges are a category of bridge from Medieval (not Roman) times. They exist in England and in Europe. 1. The bridge was built by the Devil. 2. The bridge was built with the Devil's help. 3. The bridge proves the might of the bridge builders, and makes less of the Devil. This kind of folklore relates to fairy (faerie) tales. In the typical story, the bridge builder makes a deal with the Devil: If the Devil will build the bridge himself, in one night, the Devil can then take the soul of the first person to cross the bridge. After the bridge is built, the Devil tricks the bridge builder into crossing the bridge, so the bridge builder loses his own soul as payment. One bridge called "the Devil's Bridge" is in Carnforth, in Lancashire, England. 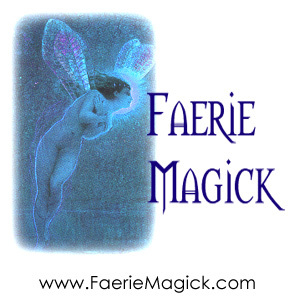 For more information about faeries, visit Faerie Magick (dot com). Music: Moods of Man, written and orchestrated by James Underberg.